We are a full service dance studio, with all levels, ages, and abilities. We offer curriculum based classes from 3 years old and up. ALL our students receive syllabus curriculum training, with end-of-year reports, and options for parent-teacher interviews, so parents can be involved in the progress of their dancer. We are also proud to offer inclusive classes for students with special needs. We believe every child should have the chance to dance! 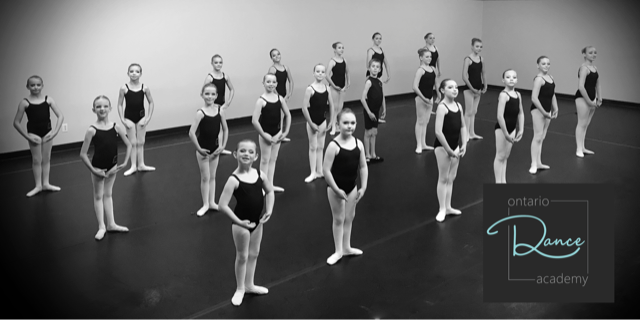 All of our teachers hold certifications in the genre they teach, including BFA hons, NBS Teacher Training program, RAD, CDTA, Cecchetti, ISTD, Cangym, and Acrobatic Arts, to name a few. Our studio is Acrobatic Arts certified, and members of CDTA. ALL of our teachers are adults, with formal DANCE training. NO STUDENT TEACHERS! All of our teachers have up to date CPICs and first aid training. We offer classes week nights and Saturdays, for families convenience. We always offer our most popular classes in two options, one during the week, and one on weekends, so families can make their busy schedules work! Contact our studio director, for a personal appointment to discuss your dancer’s needs, or email us at ontariodanceacdemy@gmail.com, and we will quickly get back to you with information. The best possible reason, your child’s health! Dance promotes physical activity, team work, discipline, and so much more! Today, more than ever, children need structured activities that get them out with their peers, and working towards personal progress. At ODA, we strongly believe in an environment that allows children to find the joy in movement, art, and expression, while building confidence and resilience that will last a lifetime.